Bajoz, the leading brand in wines from DO Toro in the offtrade, launches a new image with the occasion of the change in the vintages. This new image reflects the character and personality of these wines from DO Toro made by the winery Pagos del Rey in Morales de Toro, Zamora. The style of the new design keeps the same values and philosophy of Pagos del Rey in terms of quality, innovation and a new way of wine-making without disregarding the origin of the terroir, with a modern and current twist. 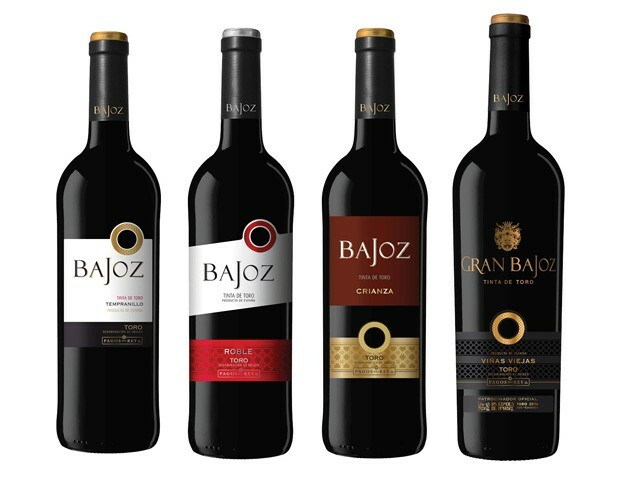 The Bajoz wine family is formed by a white wine made of malvasia grapes, a rosé young wine, a red young wine made of Tempranillo, an oaked tempranillo “roble”, a red crianza and a special wine: Gran Bajoz. In the new image, the brand adds the logo of the exbition “Las Edades del Hombre”, since Pagos del Rey is an official partner. This sponsorship includes a plan of cultural and touristic promotion of the exhibition and Pagos del Rey Wine Museum. Bajoz also launches a special edition of a new wine for this exhibition, a very limited production available in specialized shops and restaurants in Toro and surroundings. This wine is made with grapes from old vineyards, which are harvested by hand. It is a clean and intense red wine, with rich aromas of red berries, toast and spices. Complex notes of minerality and black berries. Powerful taste of caramel, vanilla, spices and balsamic.